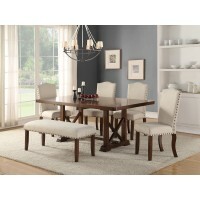 Gather with friends and family for a dining experience of modern luxury with this formal dining set for six. Rich mahogany hues cover the dining table. 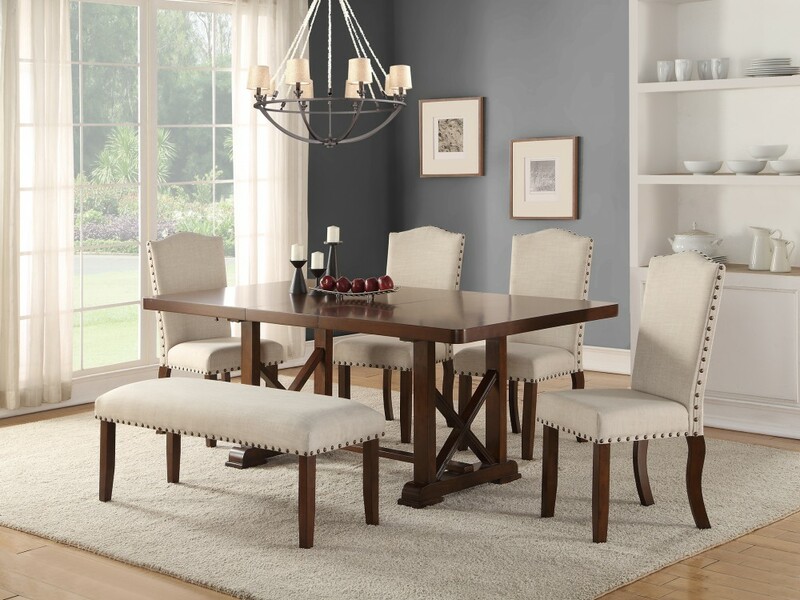 The seating features wood trim, cream seat cushions and back supports with stud accents. Available in standard height or counter height. Counter height table also includes a butterfly leaf and space for storing precious artifacts or china.